Welcome to Classic Exteriors, an exterior renovation and siding company serving Edmonton and the surrounding areas. We pride ourselves on providing outstanding service and quality products for the last 30 years. Principle partners Ray and Marcel have more than 70 years of combined experience in the exterior renovation and siding business. In 2015, Richard also became a principle partner and part owner, bringing another 25 years of experience. Which gives you our valued customers the expertise to make the house you own, into the home you love. Our business is 100% safety certified and our professional teams are highly skilled, fully licensed and insured for your peace of mind. We're proud to be an approved vendor to install exterior insulation and windows for the Alberta Home Improvement Rebate program! Energy Efficiency Alberta offers performance-based rebates in accordance with how much energy your home improvement project saves. Please contact our sales team for more information! Replacing these items one-by-one can reduce the amount of heat loss in your home, saving you money on your energy bills almost right away! Because we’re less busy during this time of year, we can typically get the job done quicker! Once spring arrives, you can just sit back and enjoy your new additions while everyone else on your block is busily trying to get their spring renovation work done! We are a proud supporter of the Caritas Foundation Lottery®. 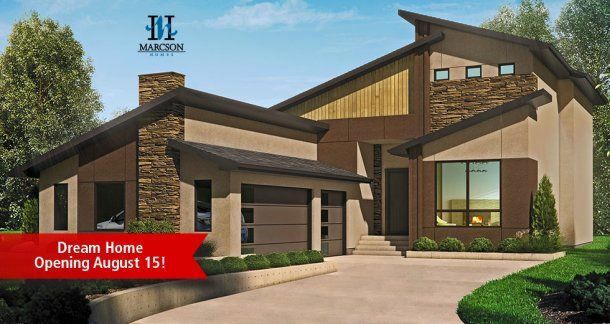 In the 2015 lottery, we did work on a 1.5 million dollar “dream home” for Marcson Homes. 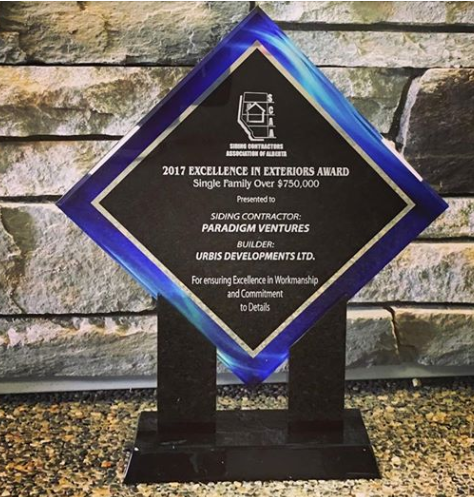 Classic Exteriors and our sister company, Paradigm Ventures, were established in 1985 and 1994, respectively, to service the renovation market (Classic Exteriors) and the new construction and commercial markets (Paradigm Ventures). The founders of Classic Exteriors are entrepreneurs who started in the field, worked their way up to management and then started their own business. Today, Classic Exteriors can proudly state that after 30 years, they are still a family-owned business. Have questions about winter renovations in Edmonton? Feel free to contact Classic Exteriors today to discuss the details and get an estimate. We understand you probably have concerns, and we’ll do our best to address them before the renovation work begins. No, you won’t freeze inside your home while your exterior elements are being replaced. There’s no better time than the present to begin enjoying savings!